This is where NarrowBase LLC comes into play. For the past 4 months, I’ve been talking with and helping game test out products for NarrowBase LLC, or NarrowBase for short. I’ve finally got the go ahead to reveal and talk about their products now. 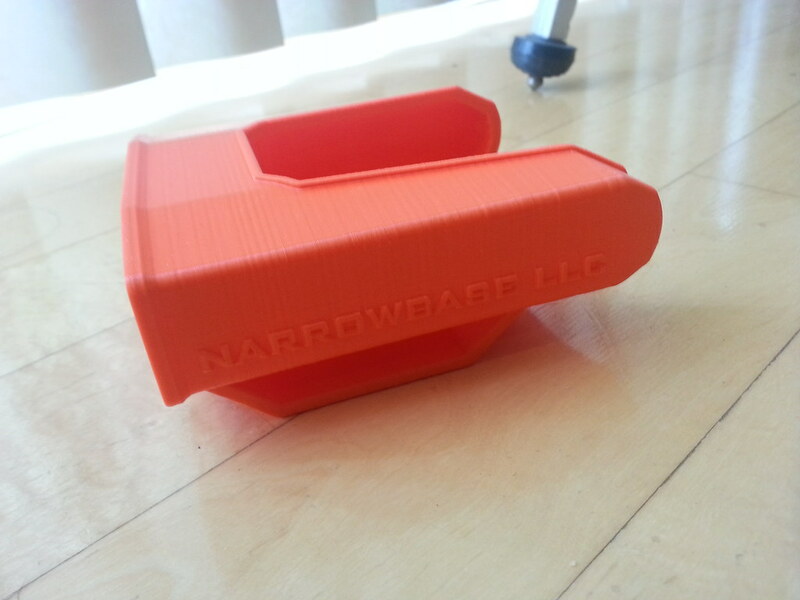 NarrowBase is a USA based company that, at the moment, designs and sells mag holders and a blaster holster. 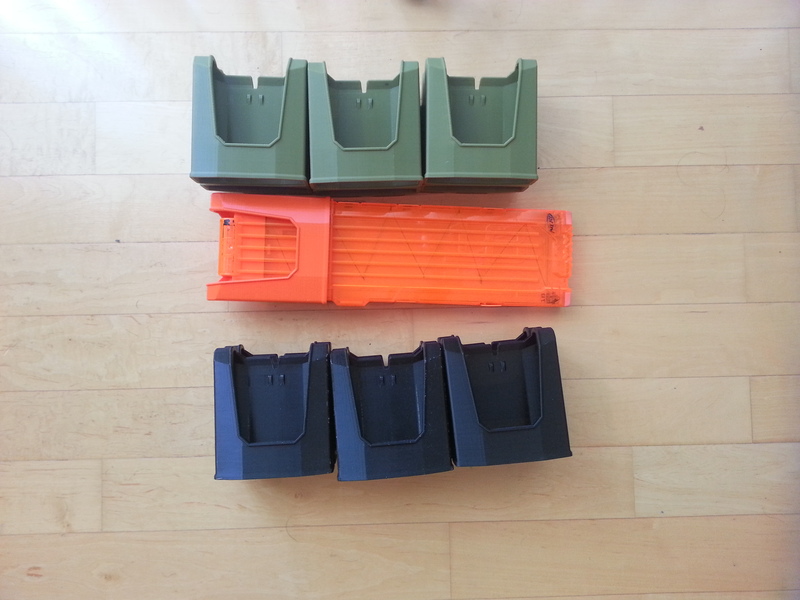 Their mag holders and holster are designed specially for Nerf mags and blasters. If your using the MOLLE/Pals webbing setups, then the mag holders secure using their unique NMAG Bars. In which they go through the backs of the holster or mag holders and the PALs Webbing to secure them to your MOLLE setup. Don’t use MOLLE? That’s ok, because they make Belt versions for their mag holders as well. 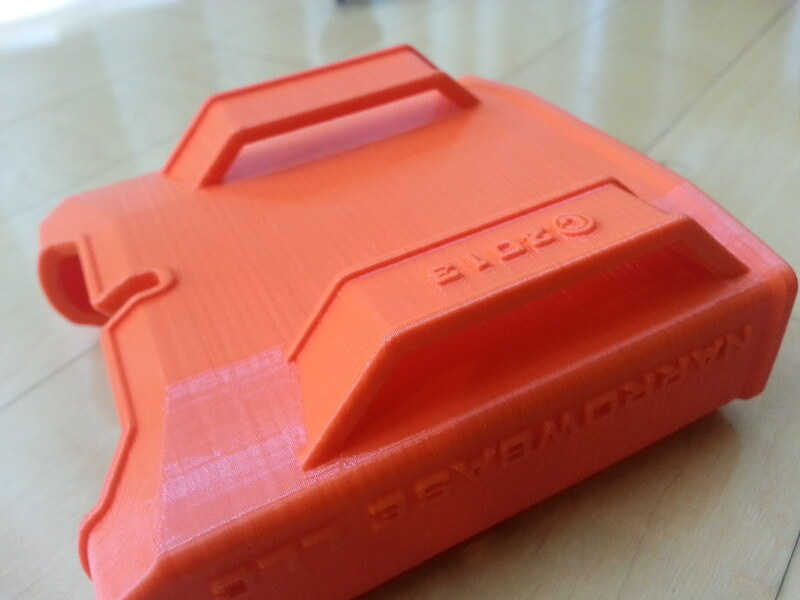 A closer look at the “NMAG Belt Single” mag holder in orange. And it matches the Nerf orange very well. They come in a variety of colors as well. From top to bottom, NMAG Pals Double in Black. 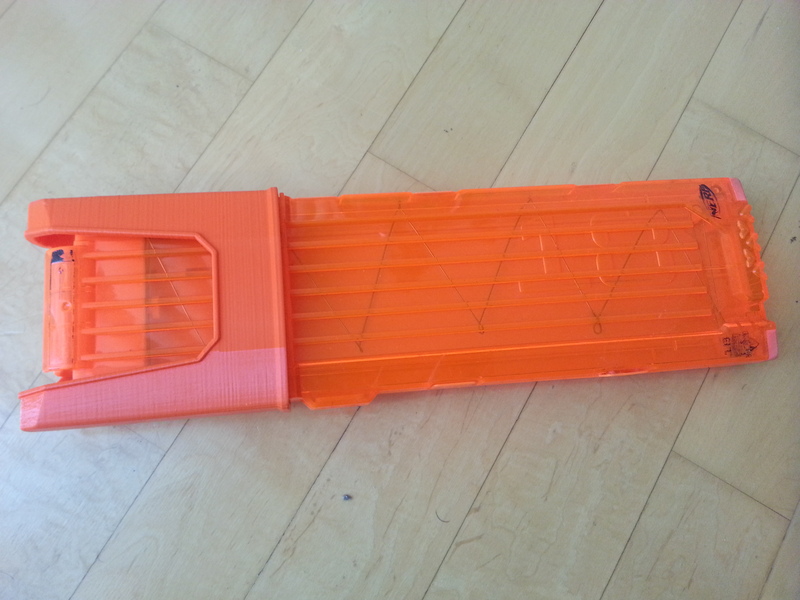 NMAG Belt Single in Orange. NMAG Sapi Set in Olive Drab Green (OD Green). At the moment, they don’t have many items for sale, especially when you compare them to Sly Dev or Dorm Labs. However, I can say that their products are good quality and are well designed. I trust their mag holders to perform during my Nerf Wars and would also trust them during longer events such as Humans vs. Zombies. Keep an eye out to my blog and Youtube channel soon for my personal coverage on these items. 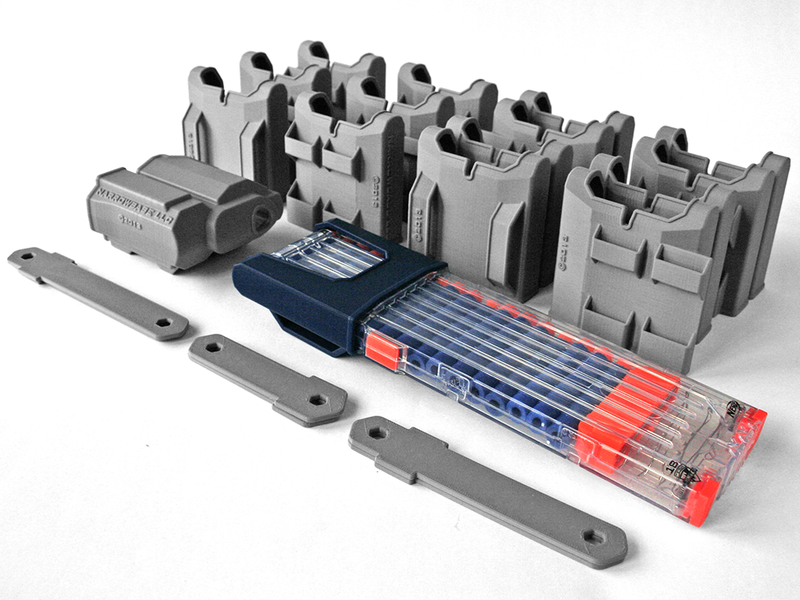 Even if your not into 3D printed Nerf accessories, I would suggest keeping your eyes open to the name NarrowBase LLC mentioned in the NIC more in the future. They plan on having more products and designs as they grow bigger. Be awesome if they made more pistol holsters too if they’re gonna do this! Last I checked, they also had plans to make a Strongarm holster and Hammershot holster. So I do expect them to be produced if their initial sales look good.